BASTILLE DAY AT BARANIS ! 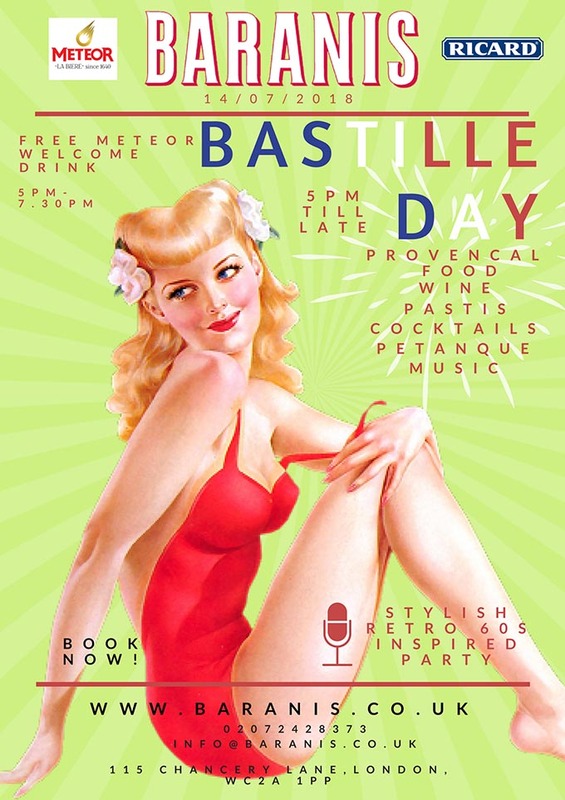 It’s almost 14th July, which means we’ll be hosting a party of the year at Baranis – Bastille Day or La Fête Nationale as we call it in France is a celebration you don’t want to miss! Expect the best selection of french classic and innovated cocktails as usual from Led’s crazy lists, aperitifs, great finger food, provençal & corsican wines, all of it paring with lively electro-swing music. Also to honour the day we will be offering all early birds (those coming before 7pm) a free Meteor beer or Ricard on arrival.